Maggie Liu and Andrew Tang were invited to perform at the Inland Valley Symphony Music at Library Concert Series on September 29 at Grace Mellman Library along with the Symphony’s past Youth Concerto Competition winners. They both did a fantastic job! Maggie performed Khachaturian Sonatina (complete), and Andrew performed Prokofiev Sonata No. 3. 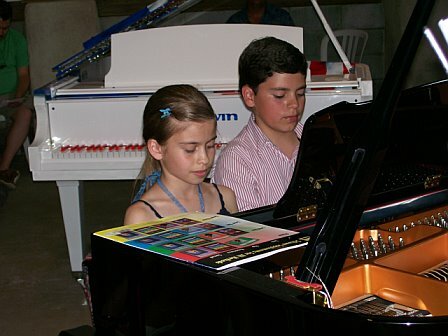 They are both competing next weekend in the LA Young Pianist Competition. All the best of luck to them! Congratulations to Andrew Tang, who won 2nd Place in the Complete Works Audition on September 30 at the Southern California Junior Bach Festival. The Southern California Junior Bach Festival involves approximately 2500 students from 34 branches of The Music Teachers’ Association of California. 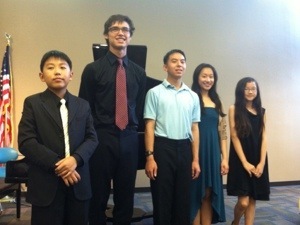 Andrew competed in the Preludes and Fugues category. This is such an amazing achievement! This festival involves three stages: Branch Festival – Regional Festival – Complete Works Audition. In the past, students from Murrieta/Temecula area must go to Riverside to participate, but starting in 2013, there will be a branch festival in Temecula! About 20-30% of all participants from each branch get chosen to go to Regional Festival, where select winners get chosen to compete in the Complete Works Audition with winners from other regions. This makes this event one of the most competitive in Southern California. The purpose of the Junior Bach Festival is “to cultivate knowledge and understanding of Bach’s music, as well as to celebrate it. Through festivals, lectures, master classes, recitals and concerts [it offers] many opportunities for musical growth to the best of Southern California’s young instrumentalists and vocalists” (SCJBF.org). Complete instructions for registration are given at scjbf.org under “Registration and Announcements.” You will also find the Current Rules and Guidelines on the website. Winners in the Branch Festival may perform at the Regional Festival, held later that Spring. They must perform the same repertoire they chose for the Branch Festival. Regional Festival winners may enter the Fall 2013 Complete Works Audition only if they have chosen music from the Complete Works Listing. They must perform the same music in the same category that they performed for the Branch and Regional Festivals, but complete, as indicated on the Complete Works Listing. Repertoire: Music by any Baroque composer may be performed at the Branch Festival. However, to be considered for the Regional Festival, only music by J. S. Bach may be played. Also excluded from the Regional Festival is music from the AMB Notebook 113-132 and transcriptions other than those made by J.S. Bach himself from his own works. Cost: The exact cost has not been posted, but it is usually $20-$30 for each festival. There is a fee every step of the festival, so if you win and decide to go on to the next stage, you must pay again. Registration Deadline: In order for me to start selecting appropriate music for you, and for you to start practicing, you need to let me know by Oct 31, together with $20 registration fee (if the Branch festival fee turns out to be higher, I will let you know and you can pay the difference later, if it is lower, I will refund the difference). Who should participate: I encourage everyone who wants to play the music of J.S. Bach to participate in the Branch festival. While not everyone will be selected to go on to the regional festival, it is always valuable for students to have feedback from judges, gain performance experience, and learn from listening to others in recital. 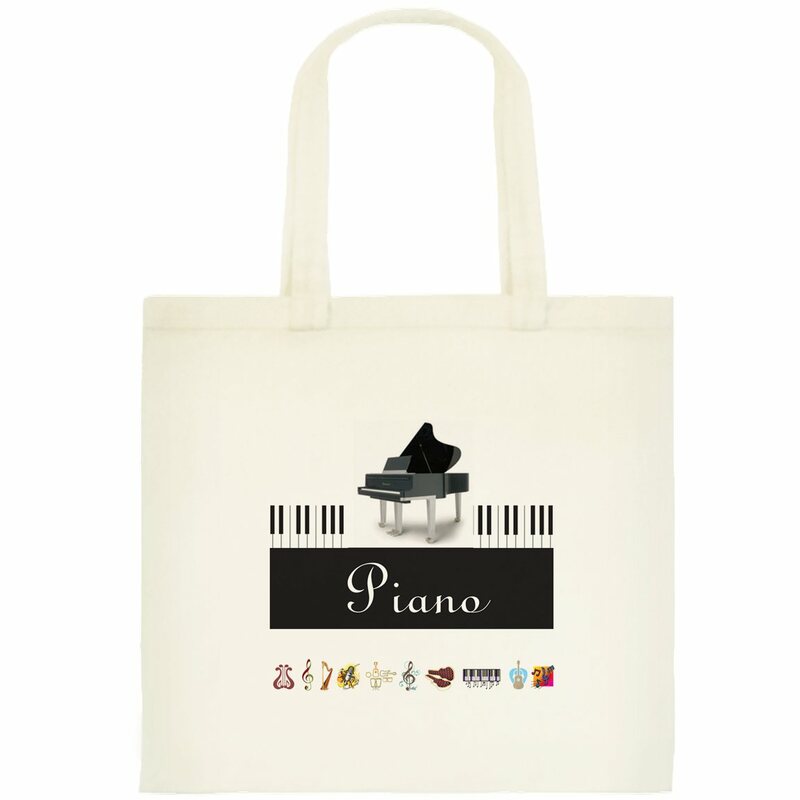 It should be noted that students are not being divided into age groups, so all ages compete together – only separated by the different types of works, e.g., Inventions, Preludes and Fugues, Suites, etc. This means it is very difficult for young students to win, as they may be competing with students that are much older. The goal should be to learn and enjoy the music of Bach – if selected to go on to the next stage, great, if not, all is not lost, and students should not be discouraged.